With a tradition that harks back to the 1930s, when special variants of the "Grosser Mercedes" were used by heads of state around the world, the longest and most luxurious version of the largest Mercedes-Benz model in its lineup has always been a special car. Since the second "Grosser Mercedes," aka the "600" or the "Dictator-mobile," entered production in 1964, every generation of the S-Class has also had at least one longer version sporting the "Pullman" moniker. With a wheelbase so long that it can accomodate 2+2 seats facing each other behind the two front passengers, not to mention the option of body armor, Pullman Mercedes’ have always been regarded as the cars of choice for heads of state, dignitaries and similar VIPs. With the 2016 Mercedes-Maybach S-Class already filling a more luxurious niche above the "plebeian" 2015 S600, the German carmaker has unveiled an even longer and more luxurious version, bringing back the Pullman name. Since several pre-production prototypes of the new model have already been spied at or around Brabus’ headquarters in Bottrop, it seems that the ultra-long Mercedes-Maybach Pullman was developed and will probably be manufactured by the famed tuner. 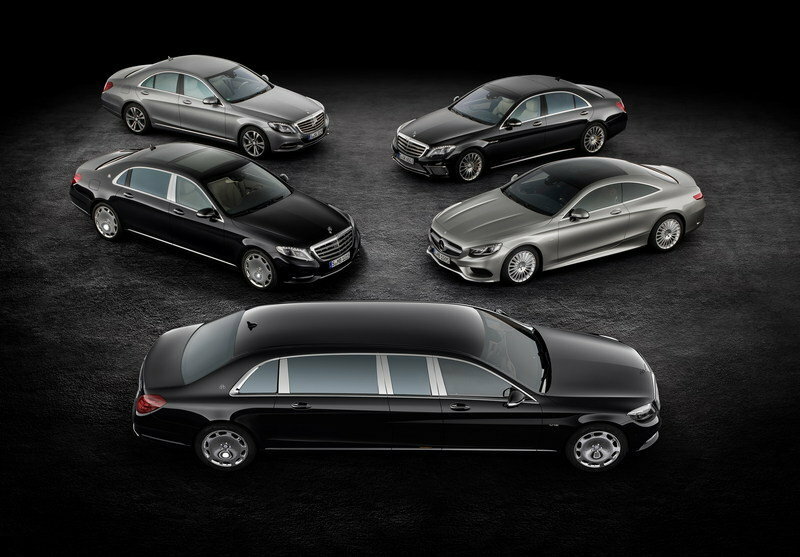 Updated 03/03/2015: Mercedes unveiled the new Maybach S600 Pullman Limousine at the 2015 Geneva Motor Show. 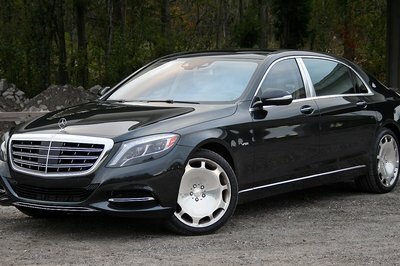 Continue reading to learn more about the Mercedes-Benz S600 Pullman Limousine. Updated 02/18/2015: Mercedes unveiled the first official details on the new Maybach Pullman limousine. Click past the jump to learn more about this $570k limousine. Apart from modifying Mercedes-Benz models, Brabus is not only a carmaker in its own right but also has a number of smaller but equally important departments, including one that caters to luxury boat or plane lovers. One of them is called Car Research and Development (CRD), which was founded back in 1984 to develop and manufacture special low-volume models for various carmakers around the world. To give you an idea, brands like Jaguar, Infiniti and even SsangYong have contracted Brabus CRD over the years to build limited-edition versions of their models for certain occasions or markets. The upcoming S-Class Pullman will apparently be such a model, but don’t expect to find any Brabus emblems anywhere on the car when it arrives. Every CRD-built car out there – whether it is a dealership edition or a market-dependent special model – has been made to adhere to the original manufacturer’s specs and equipment, so they are not "tuner cars." 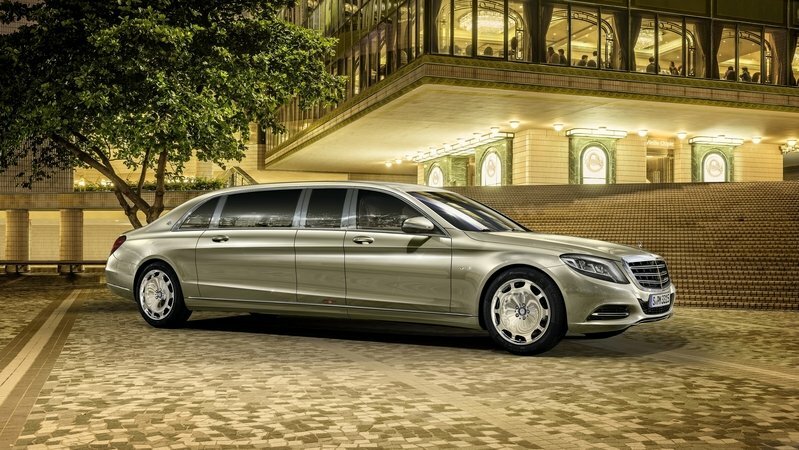 The biggest design departure from a normal S-Class is obviously the gargantuan size of the Mercedes-Maybach Pullman. Its length of over 23 feet makes it no less than 41.4 inches longer than the already elongated "regular" Mercedes-Maybach, with the overall side profile look being not much different than your average limousine. The new Pullman is also about four inches taller than the normal S-Class. 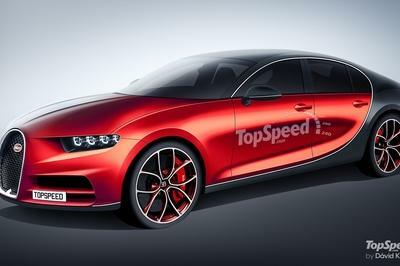 A number of subtle design differences are also present, but nothing to completely change the look of the car. Whether armored or not, the overall weight of the Pullman has been increased so much that the model needs reinforced tires, which also come with special rims. Harking back to the Mercedes-Benz 600 Pullman (W100), whose 50th anniversary coincides with the launch of the new model, the greenhouse has a very similar design. The front doors are identical to the ones from the regular S-Class, but they are followed by a pair of extra side windows and then the downright gargantuan rear doors, which are the widest on any S-Class in history. Speaking of which, the side windows are entirely surrounded by a wide metal strip, giving the model an even more distinct appearance. As with the now-defunct Maybach Manufaktur models, built until the end of 2012, the paint is added in several layers, and thousands of colors are available. It is not yet clear if the recent pre-production prototype with six door handles was simply a contrivance to keep people guessing about the final design, or if Mercedes-Benz is truly considering a six-door version. I’m leaning toward the first choice, as known German coachbuilder Binz already offers six-door versions of various Mercedes-Benz models. With around 2.4 inches of increased headroom compared with the normal Mercedes-Maybach and a wheelbase measuring a massive 173.7 inches, I think it is safe to say that none of the six passengers will feel cramped in any way. In the rear there are two executive-style seats which offer their passengers the greatest legroom in the segment, while two fold-down seats facing backward provide additional room for two more passengers. If requested, the model can be delivered without the additional jump seats. As expected, the two reclining executive seats come with plenty of adjustments, with the maximum backrest angle being 43.5 degreees, while Mercedes-Benz also brags that the seating arrangement preserves the rear occupants’ privacy thanks to their bodies being "hidden by the rear roof pillar." 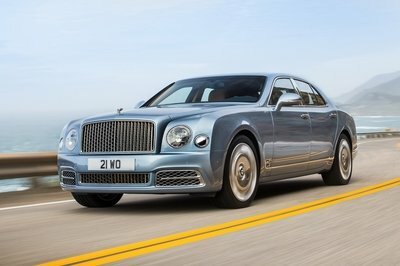 As expected, almost every touchable surface is upholstered in fine leather, while three analogue instruments inform the rear passengers of the car’s speed, outside temperature and time, just like in the previous Maybach 57 and 62 models. A Burmester surround sound system is also standard, but it can be upgraded to the so-called High-End 3D Surround Sound System, while the rear passengers are separated from the driver by glass partition that can be lowered electrically or change from transparent to opaque at the touch of a button. There is also a standard 18.5-inch monitor that can be extended electrically. Almost every area of the Pullman’s interior can be further customized with the help of key account managers in Maybach centers throughout Europe. Not yet confirmed but bound to arrive at some point is a bulletproof Guard version of the S-Class Pullman. Set to sport ballistic glass and kevlar-reinforced body panels integrated into the chassis, the Pullman Guard will most likely be the most expensive S-Class ever, since it will offer a similar level of occupant protection as the President’s "Beast" limo. Whether armored or not, the Pullman will be the heaviest S-Class in the lineup, meaning that both the standard Airmatic suspension and the tires have been reinforced to handle the extra weight. Keep in mind that most of the weight does not necessarily come from the extra seats and body panels. The middle part of the chassis needed to be reinforced in order to handle the forces acting on the body because of the increased wheelbase. Engine-wise, the twin-turbocharged, 6.0-liter, V-12 from the S600 will be the only option, paired with a seven-speed automatic transmission. Despite the massive weight, those 523 horsepower and 612 pound-feet of torque should be able to move the enormous sedan quickly enough to spill the champagne. Mercedes-Benz says that the Pullman will start at around half a million euros (aprox. $570,000 as of 2/18/2015), but you should remember that since almost every detail of its interior is customizable, prices can easily climb closer to the 1 million mark. Some of you may remember that the former Maybach 62 started at a similar price. An armored "Guard" version of the Mercedes-Maybach Pullman is likely to become the most expensive production Merc in history. 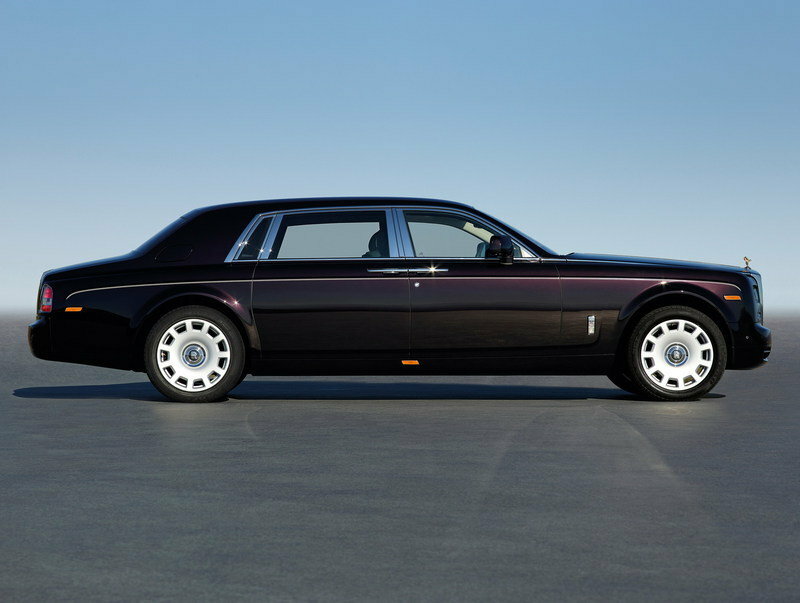 While not a direct rival for the S-Class Pullman per se, since it only offers room for two passengers in the back, the RR Phantom Extended Wheelbase offers similar luxury and interior amenities for its occupants – with a British twist. The lounge-like rear seats make for a private oasis of calm for its occupants, with just about every surface being either of soft semi-aniline leather or rare-wood veneer. Even the floormats are made from fluffy lamb’s wool, so your feet will be as confortable as your bum. Powered by a 6.75-liter V-12 with 75 percent of its torque delivered at just 1,000 rpm, the Phantom EWB is not exactly light on its feet, but never leaves the impression of running out of steam. Everything about the model, from its authoritative presence to the "gentlemen’s club" style of its interior simply screams British oppulence. Most of us will never see a Mercedes-Maybach Pullman on the road, since the special model will only be manufactured to order. Fantastically expensive and rare, but offering unparalleled interior space and appointments, the model should be enough to meet the demands of even the most flamboyant high-rollers out there, not necessarily because of its high price but also because of the model’s image. 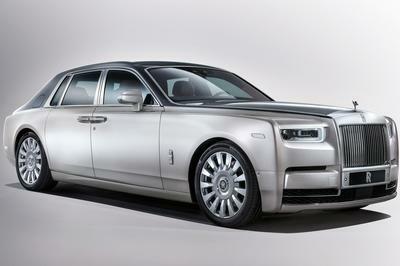 I’m not entirely sure that the new ultra-luxury limousine will dethrone the Rolls-Royce Phantom EWP in terms of sales. Then again, fewer than 3,000 units of the Mercedes-Benz 600 "Grosser Mercedes" were sold between 1965 and 1981, yet that model didn’t fail to leave a mark in automotive history. The new Mercedes-Maybach Pullman is being introduced at the Geneva Motor Show. Mercedes-Maybach’s second model assumes the top-of-the-range position, with vis-à-vis seating in the partitioned-off passenger compartment, and at the same time stands as a proud example of the high-end automotive luxury traditionally associated with Maybach. 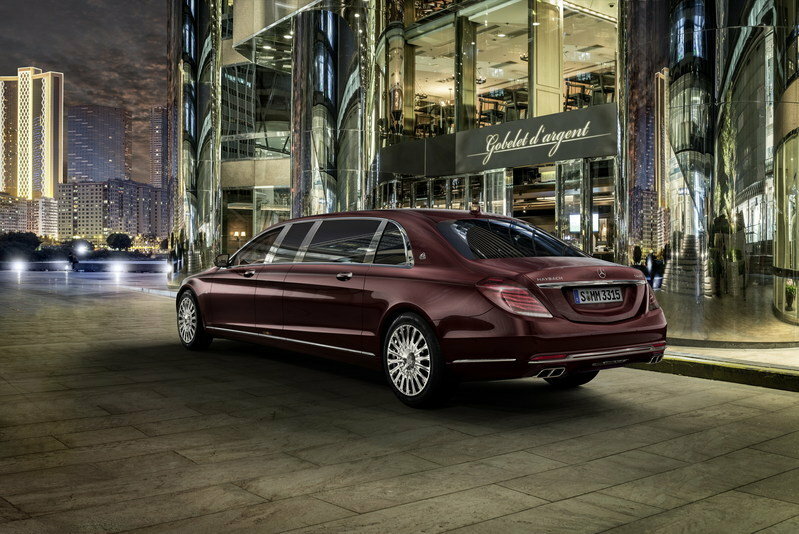 Its length of 6.50 metres alone is a sign of the special status of the Mercedes‑Maybach Pullman. It provides the space for a generously-sized and tastefully-appointed club lounge in the rear, with a multitude of creature comforts fitted as standard, thereby ensuring the chauffeur-driven limousine lives up to today’s expectations of what constitutes total exclusivity and luxury. The VIP occupants sit on two standard-specification executive seats facing the direction of travel. They can enjoy the greatest legroom in the segment; and can get into and out of the car with the greatest of ease and comfort. As is typical for a Pullman, the four passengers can sit facing each other in the compartment with an electrically-operated partition window. Prices start at around half a million euros; the first customers will be taking delivery of their vehicles, which of course offer unrivalled scope for individualisation, at the beginning of 2016. Many governments, heads of state and royal families around the world have for decades chosen Mercedes-Benz saloons with the designation "Pullman" to drive them with the stateliness and style befitting their status. 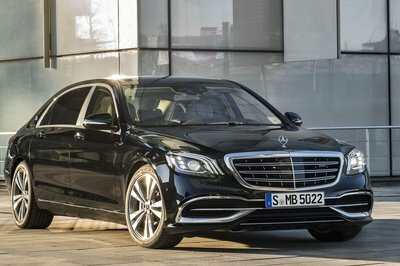 With its new model, the company is now extending its unique position in this demanding segment: "Quite apart from providing spacious seating in first-class comfort for high-ranking passengers, the new Mercedes-Maybach Pullman is of course the embodiment of exclusivity at its highest level," commented Ola Källenius, Member of the Daimler AG Management Board responsible for sales and marketing of Mercedes‑Benz Cars. "One can sense the significance and greatness of it in every detail." The Mercedes-Maybach Pullman provides extremely spacious seating combined with unique features characterised by their extraordinary and perfect craftsmanship. It goes without saying that Mercedes-Maybach offers its customers unique opportunities to individualise the appointments of their top-class limousines. These include the exquisite Maybach paint finishes, which are applied in several layers. With a length of 6499 mm, the Pullman is another 1053 mm longer than the Mercedes-Maybach S-Class. The wheelbase is an impressive 4418 mm. Furthermore, at 1598 mm in height, the Pullman is more than 100 mm higher than a Mercedes S-Class, resulting in a tangible increase in headroom. The V12 biturbo engine in the Mercedes-Maybach Pullman has an output of 390 kW (530 hp). It has a displacement of 5980 cc and maximum torque of 830 Nm from 1900 rpm. The name Pullman was originally applied to railway carriages with luxurious open-plan compartments manufactured by the American Pullman Palace Car Company. This name was soon also applied to the motor cars from Mercedes-Benz which were based on an extremely long wheelbase and offered a very generously-sized passenger compartment. In the rear, separated from the driver’s area by a partition, there was space for four passengers to recline regally in four single seats facing each other. 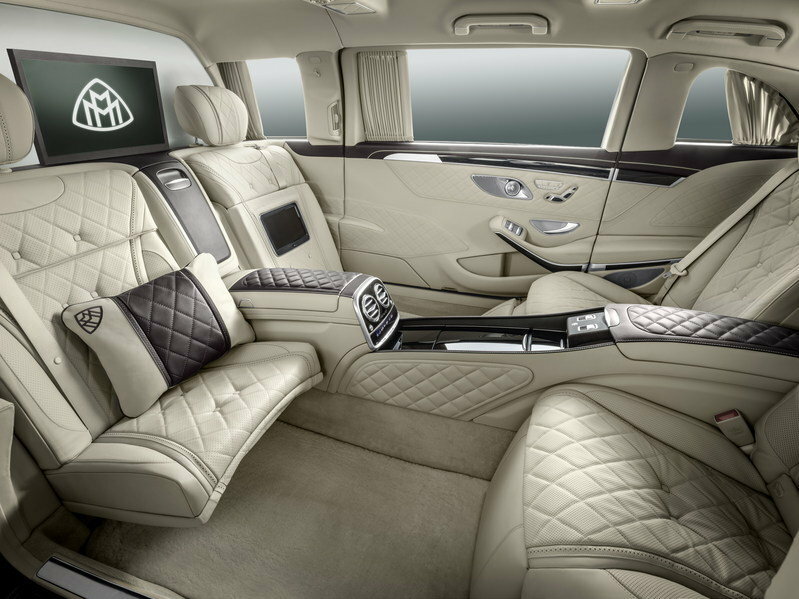 As its name suggests, the four seats in the rear of the Mercedes-Maybach Pullman are arranged vis-à-vis. The owner and VIP guests are seated in the direction of travel on two executive seats which are part of the standard specification; other passengers can sit on the fold-down seats facing backwards. If specifically requested, the Pullman can also be delivered in an exclusive version without the additional seats. The executive seats offer a unique level of comfort thanks to their special adjustment kinematics. In contrast to the norm, the backrest is adjusted separately while the footwell and seat reference point remain unchanged. The cushion can be adjusted separately, with inclination and horizontal adjustment combined. For the executive seats, the maximum backrest angle is 43.5 degrees. The most upright backrest position of 19 degrees allows relaxed working in the rear. The reclining seats feature a calf support, which is freely adjustable for length and angle. The luxury head restraints come with an extra cushion as standard. The two first-class travellers in the rear have the greatest amount of legroom of any car in the segment, as well as 60 millimetres more headroom than in a Mercedes-Maybach S‑Class. It is easy and convenient to get to any of the seats, thanks to the large rear doors and the position of the passengers on the executive seats, which is even further to the rear. A real boost in comfort for those heads of state and monarchs for whom protocol dictates that they must take their places ahead of their interpreters. This seating arrangement also preserves their privacy, as a large proportion of their bodies is hidden by the rear roof pillar. 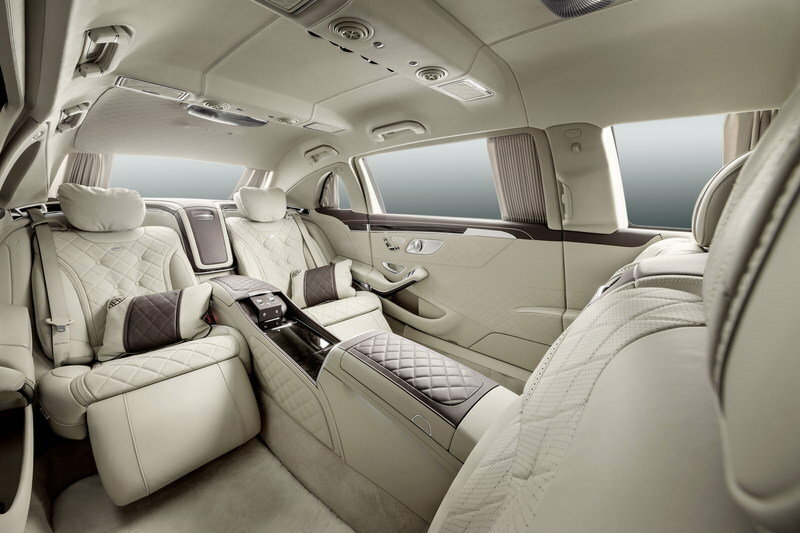 The interior of the Mercedes-Maybach Pullman is upholstered in leather throughout as standard. Not only is the roof liner upholstered in high-quality leather, but also the door frames and seat consoles. As one would expect of a Maybach, there are three analogue instruments in the roof liner informing passengers in the rear of the outside temperature, speed and time. The partition wall between the rear and the driver’s area ensures discretion. The glass partition wall can be lowered electrically. It can also change from transparent to opaque at the touch of a button. This allows – in combination with the equally standard-specification curtains for the rear windows – for different levels of privacy. The standard-fit 16:9 format 18.5-inch (47 cm) monitor located in front of the partition can also be extended electrically. Those who demand uncompromising quality of sound and appreciate perfect music reproduction can choose between two innovative Burmester sound systems. The existing Burmester® surround sound system delivers the legendary and unmistakeable magical sound for which the high-end audio specialist from Berlin is famous. But as an option par excellence, the Burmester® High-End 3D Surround Sound System provides matchless listening pleasure and outstanding sound quality. It goes without saying that Mercedes-Maybach offers its customers unique opportunities to individualise the appointments of their top-class limousines. The key account managers in the exclusive Maybach centres throughout Europe as well as the sales advisors in the Mercedes-Benz sales and service outlets are happy to provide further information on this.